Eid- Al-Fitr has arrived and has brought with it a period filled with love, blessings and happiness! It’s a very special day and one in which exchanging gifts is quite common. If you are eagerly looking for Eid Gifts in Dubai for this occasion, then you can stop your search right here! Do you want to gift your parents? Your siblings? Your co-workers? Your boss? 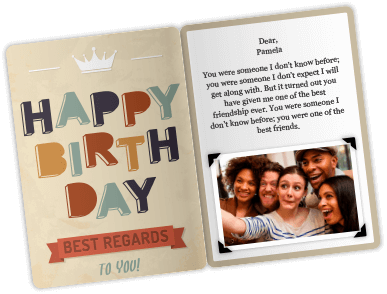 Well, our website has gifts for everyone and as a plus, it is extremely easy to use. All you have to do is pick the brand from our range of 95+ choices, add the amount you would like to gift, personalize the eGift card with a message, photo or video and finally, decide when and how to send it. You can do so via SMS, email or you can simply choose to print it at home. Gifting has never been so easy! Not only is it quick, convenient and perfect for those who are already late to buy a gift, it is also suitable for those of you living abroad who have friends, family, relatives or other loved ones in the United Arab Emirates. YES! You can send Eid gifts to Dubai, Abu Dhabi and other cities across the UAE. This way, you can make sure your loved ones feel your presence on this special day. Our platform allows you to cross borders and lets you be a part of the Eid celebrations. We have many options to choose from but physical stores do too. So, what do we have that they don’t? Uniqueness, convenience and ease of use! Our gift selection for this occasion is vast and is definitely going to impress the receivers! We have spa and nail treatments, clothes and outfits from the trendiest stores in the country and very classy options for jewelry. 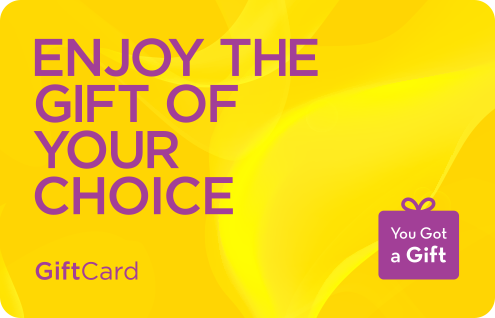 You may even choose to give them the gift of an experience from Dreamdays, the Dubai Autodrome and many other options! Plus, our services are also available in a mobile platform, for IPhone as well as Android. You can send gifts at any time and at any place. With this feature, you can forget about being a late gifter! And, you can stop worrying about that one person who is very difficult to impress because we’ve got something for him too. Our YouGotaGift.com eGift card lets them choose one single brand from our wide selection. This way, you know for sure they will select whatever they want and enjoy the present. It’s the ultimate gift of choice! At YouGotaGift.com, we understand how important this occasion is and we want to make it truly special for you and all your loved ones. We believe that online gift cards are perfect for the occasion, which is why we have put together an Eid gift selection especially designed for you. Browse, choose and send Eid gifts to UAE-dwelling loved ones with the click of a button. And, from everyone at YouGotaGift, we wish you and your family a blessed and joyous Eid, with many returns.